Belfast Giants have signed Swedish defenceman Johan Ejdepalm. Ejdepalm, 33, is Belfast's sixth acquisition of the summer and joins the club after playing in Germany and Austria over the last five years. A former junior international for his country, Ejdepalm played for Swedish Elite League Club Lulea in 2007-08. Ejdepalm began three years with German DEL League club EHC Munchen in 2010 before stints with the Hamburg Freezers and Austrian club Szekesfehervar. Belfast's head of operations Steve Thornton said that Ejdepalm would bring "defensive stability" to the side. "We really wanted a mobile defenceman that skates well and excels defensively," added Thornton. "Johan has been consistently matched against teams top lines in the DEL and Swedish Elite league which are some of the best leagues in the world. His character and work ethic are top notch." The Swede joins Jeff Mason, Matt Nickerson, Mike Wilson, Mitch Ganzak and new player-coach Derrick Walser in linking up with the Belfast club. Belfast finished fifth in the Elite League table last season, having won the title in 2014. 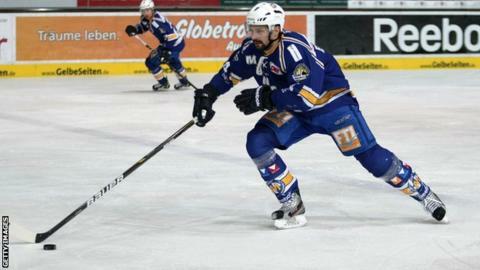 Under Walser, they will begin this season with games away to Dundee Stars and Edinburgh Capitals on 4 and 5 September.